Are you bored of Jadinkos wilting your Marasamaw traps? Sick of Red Chinchompas sneakily evading your Box traps? Think you'll explode next time your Net trap springs with nothing in it? Then Butterflies - yes, Butterflies - are the way to go. 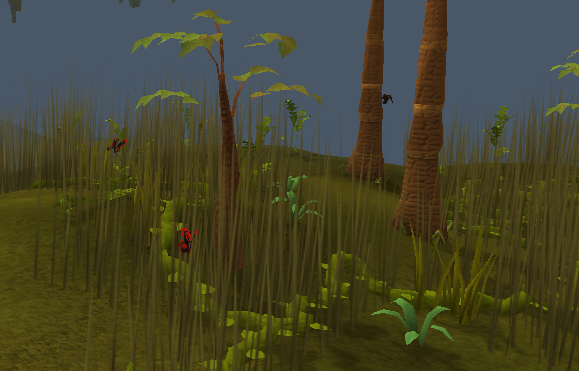 Barehanded Butterflies will require high levels in both Hunter and Agility, and you'll gain Agility XP alongside Hunter. There are four different Butterflies you can catch with your Hunter and Agility skills - the Ruby Harvest, the Sapphire Glacialis, the Snowy Knight, and the Black Warlock. Ruby Harvests are the easiest Butterfly to catch, requiring 80 Hunter and 75 Agility to do so barehanded. Upon catching these you will gain 300 Hunter XP and 50 Agility XP. Sapphire Gacialis are the next step up, and require 85 Hunter and 80 Agility to catch barehanded. Upon catching these you will gain 400 Hunter XP and 70 Agility XP. Snowy Knights are located at the same place as Sapphire Glacialis, and are a bit tougher to catch. These require 90 Hunter and 85 Agility, and will reward 500 Hunter XP and 100 Agility XP. The king of the Butterflies, the Black Warlock demands 95 Hunter and 90 Agility. They will yield a very satisfying 650 Hunter XP and 125 Agility XP upon catch. There are three locations for the four Butterflies. 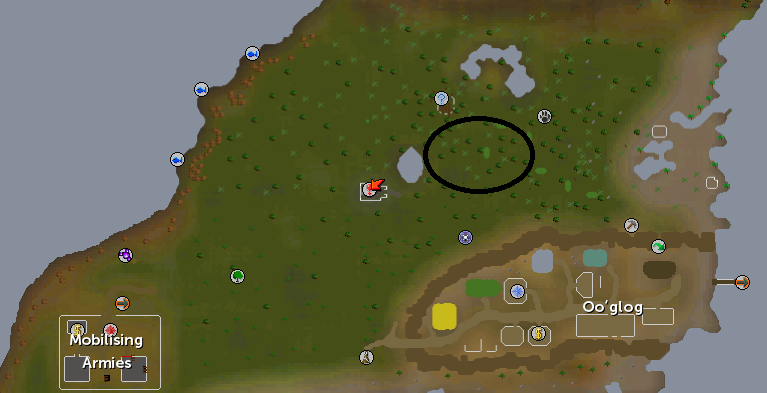 Ruby Harvests are located in the Piscatoris Hunter area. They are found mostly around the Elder tree. The quickest method is to summon a spirit Kyatt and teleport to the Piscatoris area that way. This requires level 57 Summoning. The easiest route, however, is to Home Teleport to Eagle's Peak. 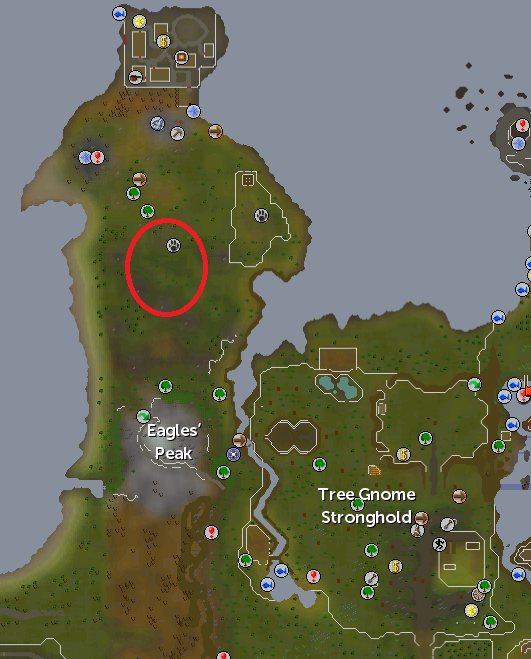 If you have not unlocked this, you could Spirit Tree into the Gnome Stronghold and go from there. The Book of Char from the Firemaker's Curse quest will also allow you to teleport south of the Hunter area, once per day. You can also use a Fairy Ring to get here, after starting Fairy Tale part II - Cure a Queen. 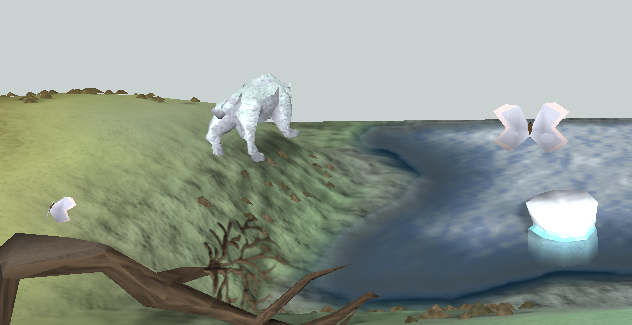 The code is a k q.
Sapphire Glacialis and Snowy Knights are located at the same place, in the Relleka Hunter area. The quickest way there is an Arctic Bear teleport, which requires 71 Summoning. 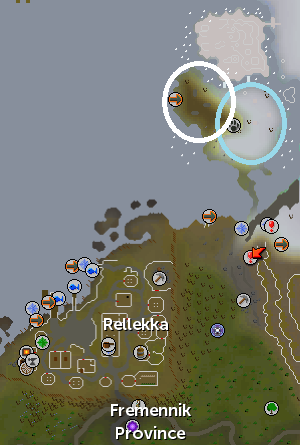 Another method is Home Teleport to the Fremennik Province and run north. If you do not have either of these unlocked, you can use an Enchanted Lyre to teleport to Relleka, or just walk from Seer's Village. You can also use a Fairy Ring to get here, after starting Fairy Tale part II - Cure a Queen. The code is d k s. A nice little bonus - you can get really nice Implings here, such as Magpie, Ninja, Dragon, and Zombie. Black Warlocks are found in the Feldip Hills. They are best hunted at the Hunter Expert's hut. The quickest way there is a Home Teleport to the Oo'glog Lodestone, or if you do not have this unlocked, a Spirit Tree, Ring of Duelling or "Teleport to Mobilising Armies" are all viable methods. 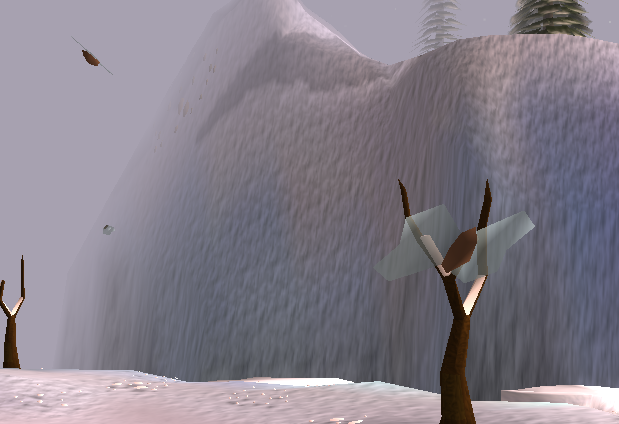 While catching Butterflies, you have a chance of coming across one of the 3 Crystal Triskelion pieces. These pieces are incredibly rare, and it is not uncommon to see millions of experience go by without seeing a single piece. Once you obtain all 3, you can form the key (earning 10 crafting XP) and then use it to locate where you must take it to find a reward. A guide can be found here. To yield maximum XP per hour, there are some other requirements that you must meet. First off, you'll want an Enhanced Yaktwee Stick. An Enhanced Yaktwee stick will give you a 5% Hunter boost whilst equipped, and can be used for catching Butterflies barehand. You can earn one from catching 1,000 Charm Sprites. A guide can be found Charm Sprite Hunting. At 71 Summoning, you unlock the Arctic Bear familiar. 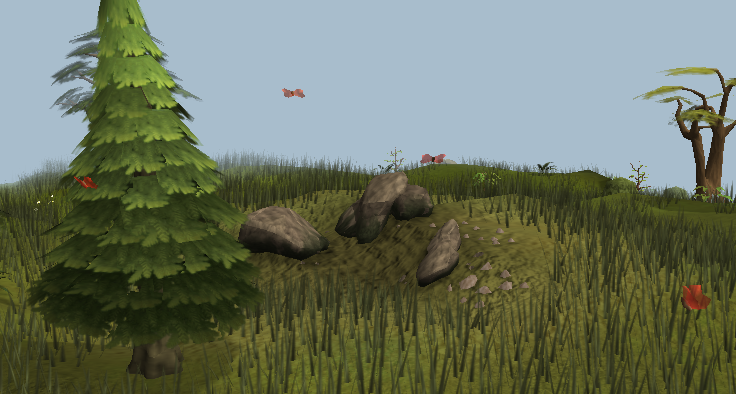 The Bear will give you an invisible Hunter boost of 7 levels, which will help you successfully catch the Butterflies. They also offer infinite teleports directly into the midst of Sapphire Glacialis and Snowy Knights. They require 8 Summoning points to summon and last for 28 minutes. 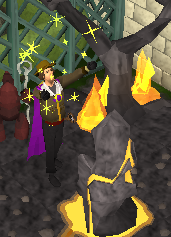 A good way to keep your Summoning points topped up is to build a Mini Obelisk in your Player-owned house Menagerie, and bring in your inventory a large number of House teleport runes, or teletabs. The Mini obelisk requires level 41 Construction, 1 Marble block (can be purchased for 325k from the Stonemason in Keldagrim) 1000 Spirit Shards (costs 25k at any Summoning Store), and 10 Gold, Green, Crimson, and Blue Charms. 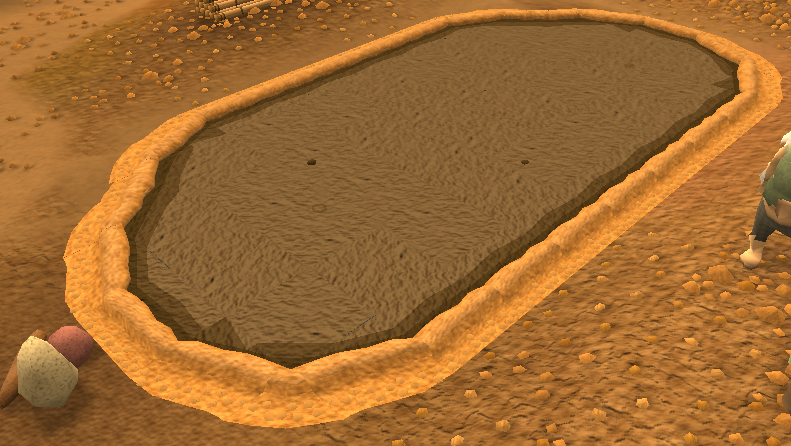 The Mud Spa, located in Oo'glog, can be very helpful for hunting Butterflies. Available after completion of "As a First Resort...", when you jump into the Mud Spa, you will gain a very nice Hunter boost depending on your Hunter level. Levels 45-60 will recieve a +7 boost. Levels 61-80 will recieve a +8 boost. 81-99 will recieve a +9 boost. Not only will this help your catch rate, but will allow you to catch Butterflies you do not have the Hunter level for. This Spa is very helpful if you are catching Black Warlocks, as they are in very close proximity to it. That's it! Happy hunting. Expect XP rates ranging from 100k-150k Hunter XP per hour, and around 30k Agility XP per hour, depending on what Butterfly you catch. Once you hit 95 for Black Warlocks, you're in the clear for a smooth, enjoyable, decently-paced 99.